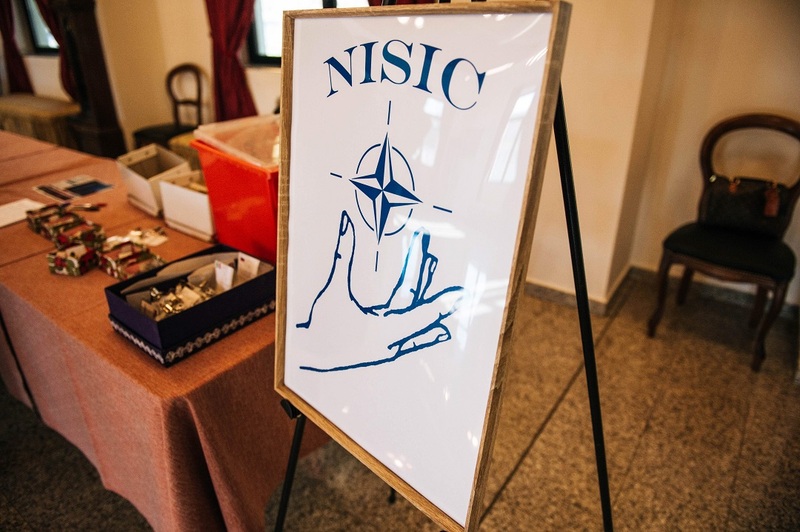 5 Feb 19 – NISIC (NRDC-ITA Spouses International Club) handed over a sizable donation, to “L’Ora Blu”, a host community for the protection of children. “L’Ora Blu” is a local charity, which has been operating for many years, supporting unfortunate children, who either suffer from development inhibiting conditions, or have been the victim of maltreatment or abuse. 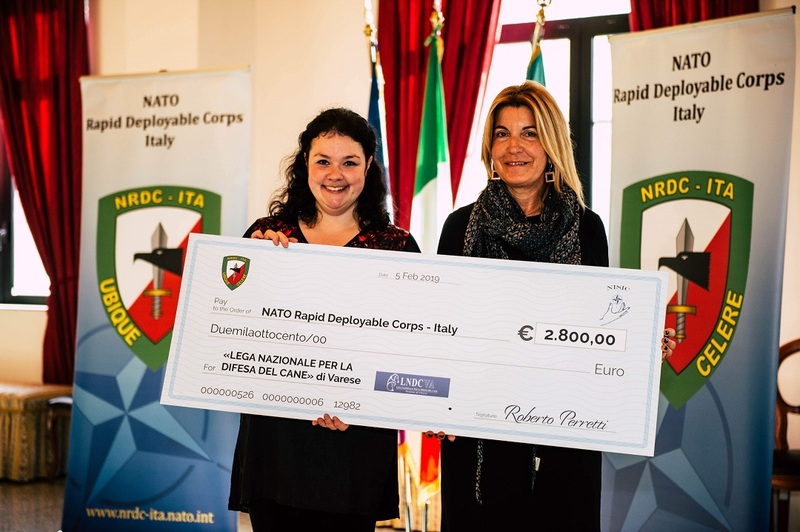 The charitable donation is a result of the fundraising work carried out over the Christmas period by the NRDC-ITA Spouses International Club (NISIC). 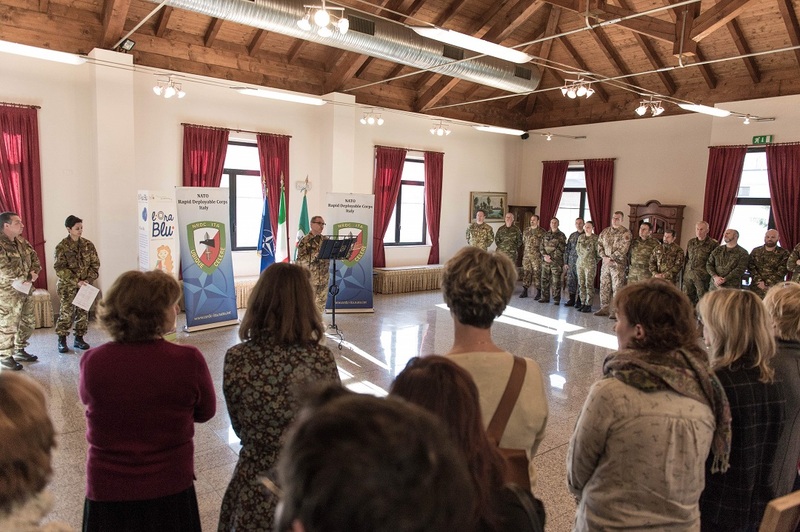 This is an association of the wives and husbands of the serving military working in the Milan area based HQ. 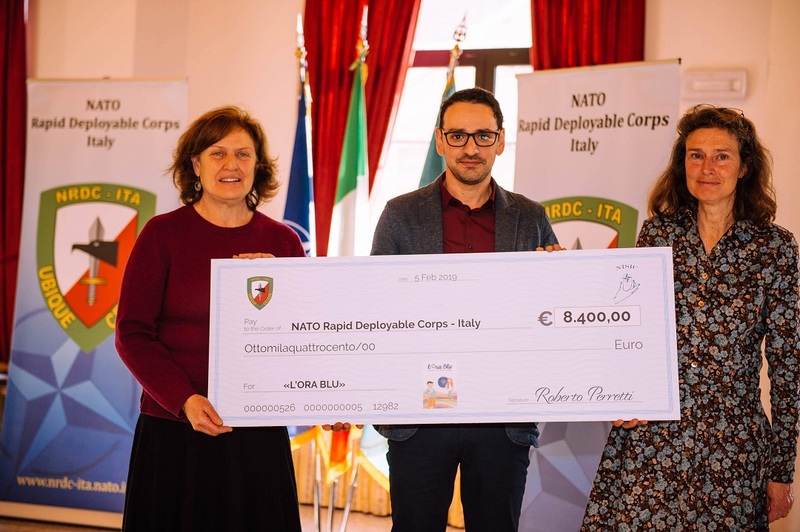 This simple act of charity is further evidence of the mutually beneficial relationship which exists between the International HQ and the local community. 19 NATO countries have military personnel serving in the Ugo Mara barracks and many of the families of these serving personnel live nearby in the local community. Thanks to this gift, the “L’Ora Blu” Community will be able to carry out essential structural works to their reception, with work to be complete in time for the children to benefit during their next summer holidays. 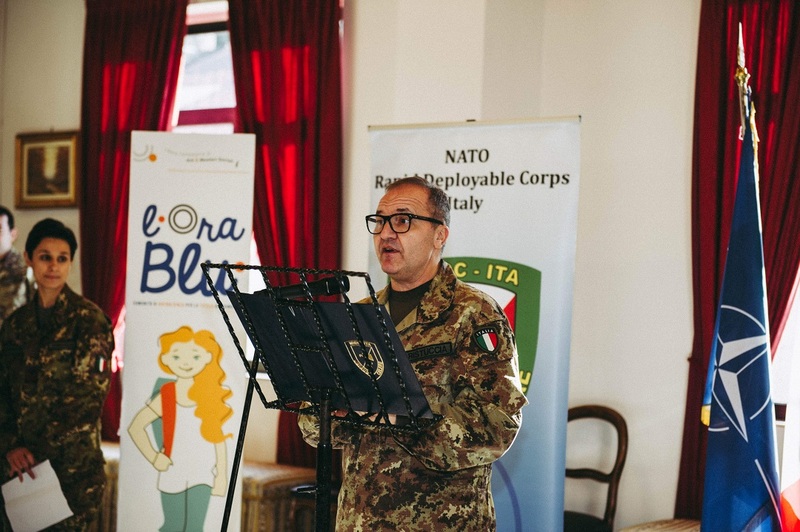 During the charity event, Major General Angelo Michele Ristuccia, NRDC-ITA Chief of Staff, underlined the passion and commitment of NISIC and its importance in maintaining strong relationships with the local community. He went on to state that NRDC-ITA personnel whilst primarily focused on the maintenance of international security, are always available to support worthy local causes too.